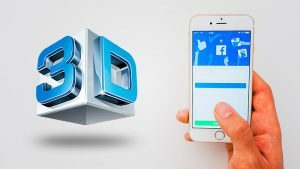 Although App Websites look just like Traditional Websites, App Sites offer interactive personalized content whereas Traditional Websites only show static generic content. On App Sites, relevant content is instantly brought to the Shopper. On Traditional Static Websites, Shoppers can only browse, but not customize, the Content. Facebook, Netflix, Pinterest, and Houzz are examples of App Websites. It’s all about user control and personalization. Basically, App Sites are the inverse of Traditional Builder websites. Instead of Shoppers navigating dozens of static web pages only to see the same generic renderings every time, on an App Website, each Shopper sees completely unique data and graphics. This enables them to easily find and design their own New Home. Most websites serve as digital storefronts to learn about a company and its products. This is fine for common consumer products with limited customization. However, these “browsing” websites are not effective at marketing highly-complex and expensive products with hundreds of configurations, options, and pricing – like New Homes. This lack of choice and control leads to confusion, frustration, and poor user engagement. New Home Buyers want to custom design their home. Incorporating interactive design apps into Builder websites enables New Home Buyers to do just that! So does this mean that Builders have to choose between App vs Traditional Websites? Absolutely not! They can be blended together to create a much better new home Buyer experience while providing Builders unprecedented online design, marketing, and sales tools. Builders should integrate their web apps into their websites to capitalize on each tool’s distinct advantages. Use the website to provide the Builder’s online storefront. Websites are ideal for SEO initiatives, company branding, and hosting generic, seldom-changing corporate and referential information. This simplified functionality and interface saves on costly, time-consuming, and disruptive website development, setup, and maintenance. Design your website to direct Buyers to your embedded web apps. The apps are ideal for presenting your ever-changing products and statuses, and providing interactive tools to help Buyers customize their homes. Builder web app websites are leaner, mobile-friendly, and is connected to various other apps with specialized functions and dynamic fresh content (i.e. Facebook, Pinterest, Houzz). Accordingly, Builders can embed their Apps into their websites to give Buyers interactive and constantly-changing product content (elevations, floorplans, and site plans). Our Builder App replaces the hundreds of hard to create and maintain web pages filled with static product images with interactive dynamically-created graphics. This essentially turns a Builder’s “House” into the Buyer’s “Home”.